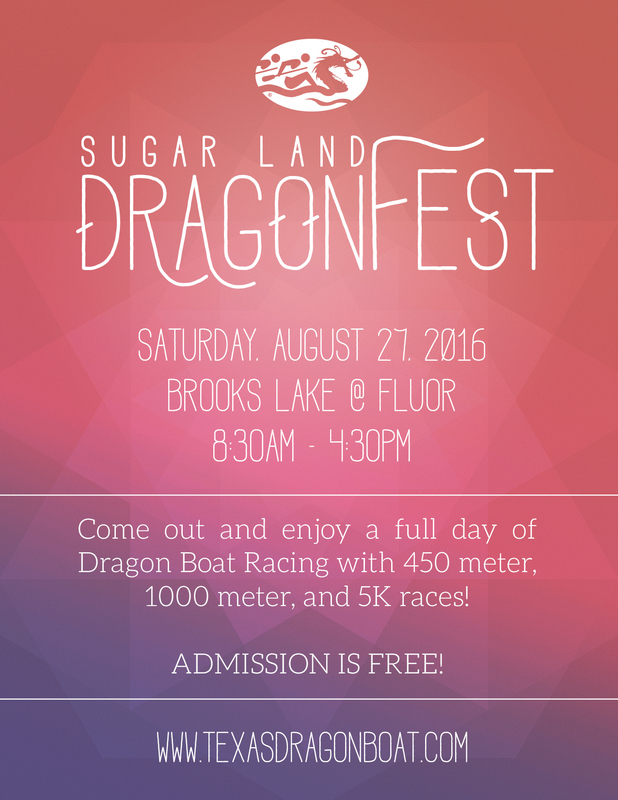 The University of Houston-Downtown (UHD) dragon boat team will participate in the Sugar Land Dragonfest from 8:30 a.m. to 4:30 p.m., Saturday, Aug. 27 at Brooks Lake at Fluor (1 Fluor Daniel Dr.). The team needs 20 to 25 matching UHD shirts for the race. If you would like make a donation, contact Andrea Sears, co-captain and team manager. Admission is free. Food and drinks will be available for purchase. Ice chests are allowed. Grab your lawn chairs and come support our team! For more information, visit Texas Dragon Boat.